The main event of May became, as obvious, GDPR implementation, and all of us felt it through our email, full of letters with privacy updates from the companies which existence was forgotten a long time ago. They all went up on the surface and, I guess, many of us were surprised to see, how many companies had our email in their storage. Let’s see how GDPR affected SEO world with main SEO players and check other important SEO news from May. Google created a tool that allows businesses to report a violation of Google My Business policies and also published helpful recommendations on how to identify scammers that are approaching businesses on behalf of Google. Moreover, Google started an educative Get Your Business Online program for local small business organizations, that will help them to identify, prevent, and report scams. To request help from Google to educate your communities for fraud prevention, fill up and submit this form. 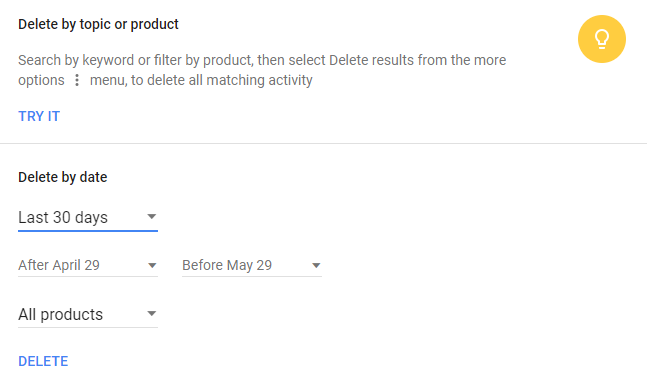 Starting October 30, 2018, all AdWords accounts will be required to use parallel tracking that was introduced earlier this year. Parallel tracking sends customers directly from your ad to your final URL while click measurement happens in the background. Google makes a large accent on mobile page speed, and parallel tracking feature helps to load your page faster. 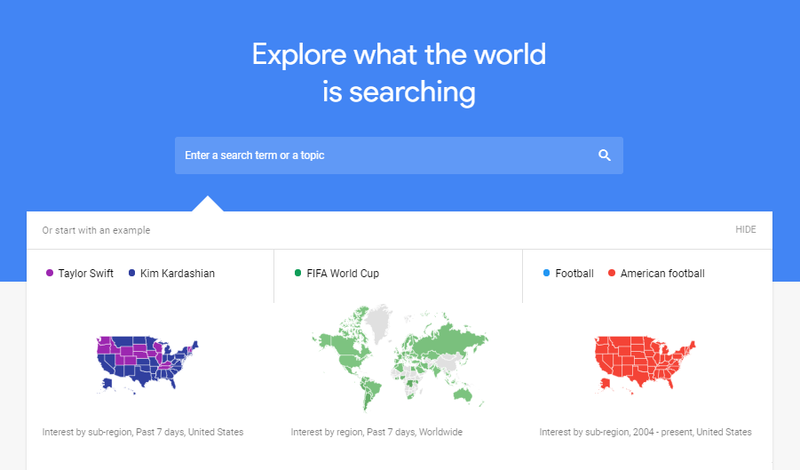 – Trending searches section now shows what is trending in search right now, both daily and minute-by-minute. – A newly-designed section where you can see Google Trends data stories curated by the News Lab team and amazing examples of Google data visualizations by newsroom designers from all over the world. – Simple access to previous year data in search up to 2001. – New infographic types such as an intensity map to compare different trends in a helpful way. – Easier access to Activity Control Panel in your Google Account with simple on/off switches to control Location History, Web and App Activity, YouTube Search History and more, across all your devices. – View or delete data—including search history, location history, browsing history in your Activity. – Take a Security Checkup or Privacy Checkup to reassure yourself that your account is secured. – Manage or mute the ads in Google, on websites and in apps using the recently upgraded Ads Settings tool and Mute This Ad control. – Easy to use and more mobile-friendly Google Dashboard. The rest of the privacy updates from Google you can find here. 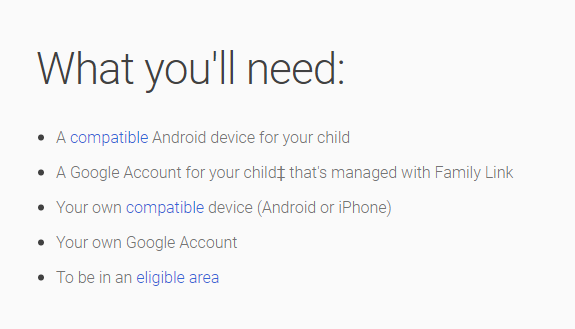 Google rolled out a Family Link, where parents can create a Google Account for their kid and are required to provide consent for certain processing of their child’s data, according to GDPR guidelines. Here the parent can also approve or block apps, control a screen time, or remotely lock his child’s device. 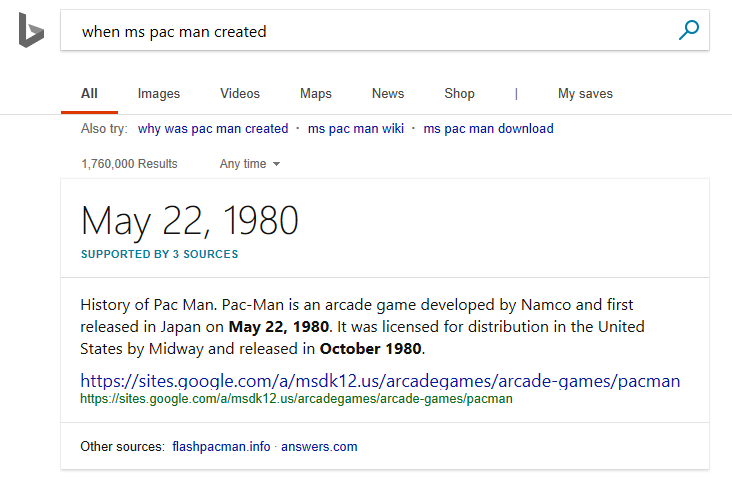 Launched by Bing intelligent answers in December of the last year are expanded and now Bing shows up to 5 websites that support the answer. 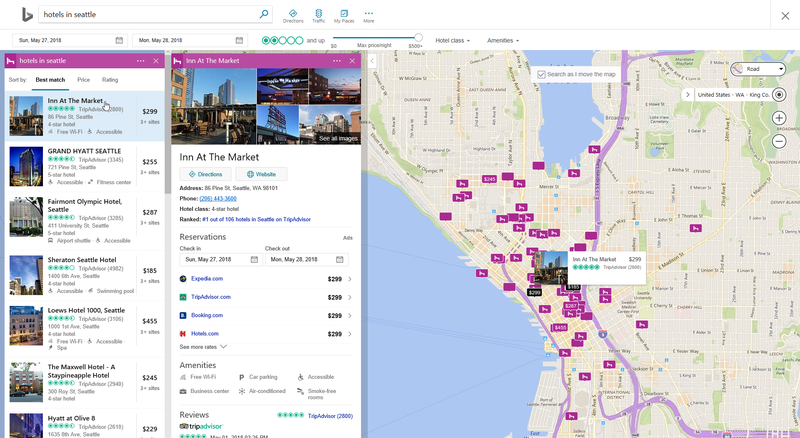 Bing updated hotel booking experience. From now on users in USA and UK can simply search for hotels in any location around the world, and will see the price, location, rating, and availability by date. You will also be able to see options from Expedia and Tripadvisor. 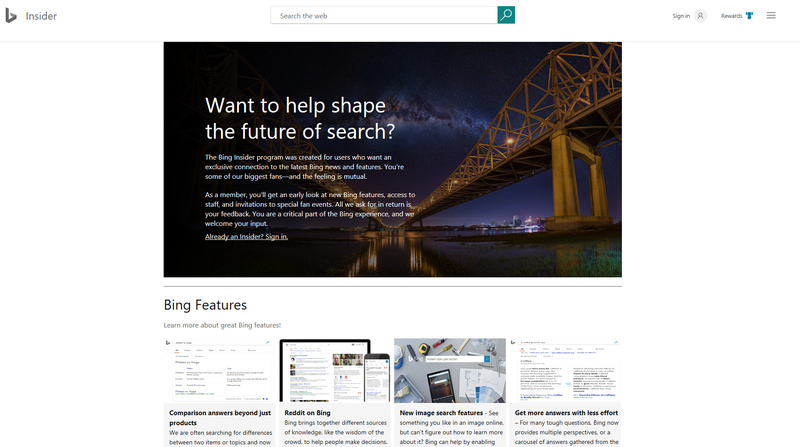 In future, Bing plans to add more possibilities to booking experience. 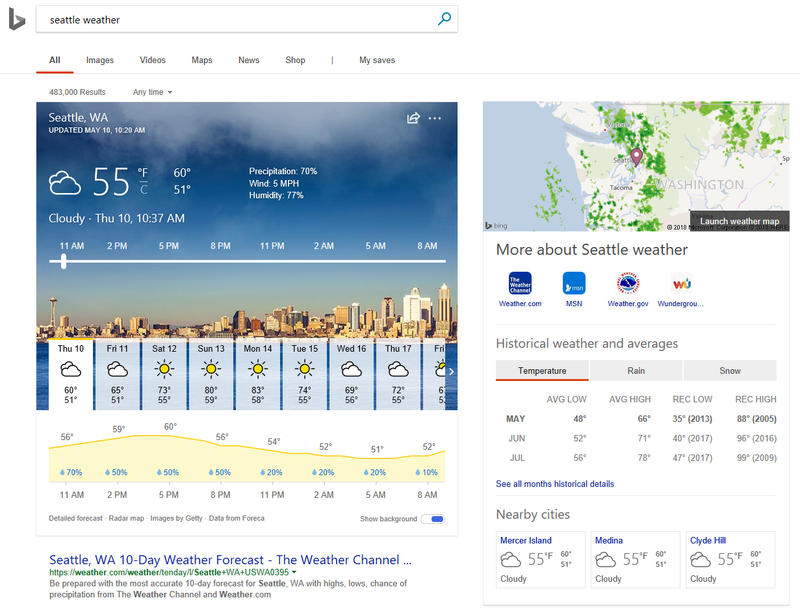 Bing updated the weather results and added a live radar map for the city you are looking at. Also you will have an easy access to your favorite weather sites, nearby cities’ forecasts, and one for average temperature, rainfall, and snowfall. Bing launched an #AmplifyIngenuity Urban Photo Contest for the best photo of amazing things in cities whether it’s architecture, engineering, or pieces of urban technology. The first-place winner will be featured on the homepage, wins the Urban Explorer Prize Pack, which includes a Surface Laptop, Sony a6500 camera and lens, Filson photographer’s backpack, and a $1000 airfare gift card. You can submit photos until June 16th here. Bing Ads disallows cryptocurrency advertising. These changes will be implemented in June, with enforcement rolling out in late June to early July. Some of the American News sites owned by Tronc and Lee Enterprises have decided to block their services entirely rather than adhere to the new GDPR regulations. Among them is Los Angeles Times, the New York Daily News, the St. Louis Dispatch, the Chicago Tribune, and the Orlando Sentinel. Readers met this news controversially: some of them blame GDPR for putting too much burden and a huge fine on companies, the others are wondering, what these companies do with private data, that they don’t want to conform with new privacy guidelines. MozCon 2018 is just five weeks away, on July 9-11 in Seattle and Moz shared the final agenda for the event. 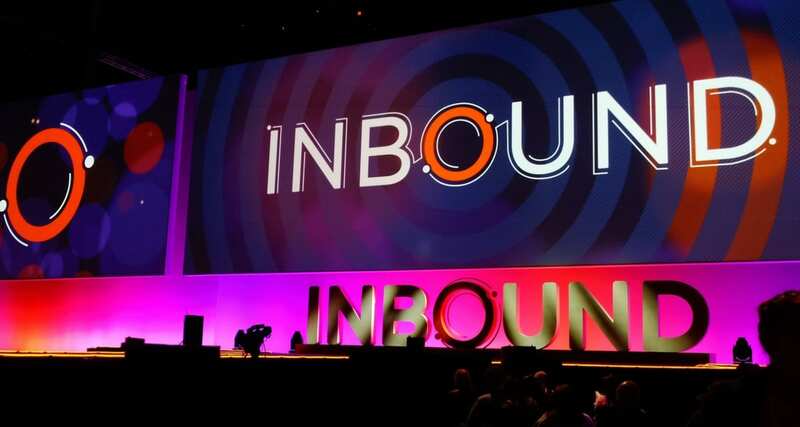 Among speakers, you will see Cindy Krum, Rob Bucci, Lisa Myers from Verve Search, Russ Jones, Darren Shaw, Emily Grossman, Rand Fishkin and others. The speakers will touch such topics as mobile-first indexing, 2018 content strategies, local Seo, analytics, email marketing, machine learning, site speed, traffic and many more. After the first day of the conference, starting at 7 p.m. there will be a Kickoff Party, as well as, the last day of MozCon will be closed by MozCon Bash. The latter will take place at Garage Billiards with lot’s of networking, billiards, bowling, and karaoke. Don’t forget to bring your MozCon badge and US ID or passport. Grab a ticket for MozCon here. 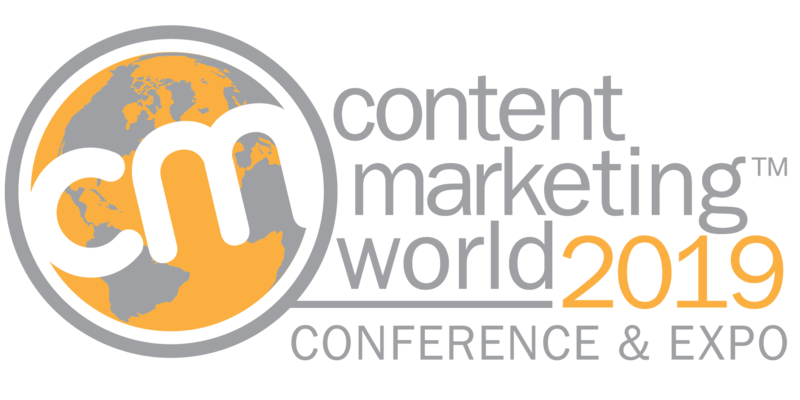 Check our digital marketing event calendar for other conferences.